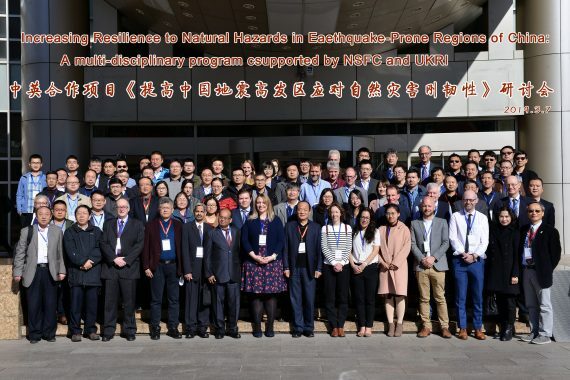 The Workshop Increasing Resilience to Natural Hazards in Earthquake-Prone Regions of China: A multi-disciplinary program supported by NSFC and UKRI was successfully held in Beijing, China, March 6-8, 2019. 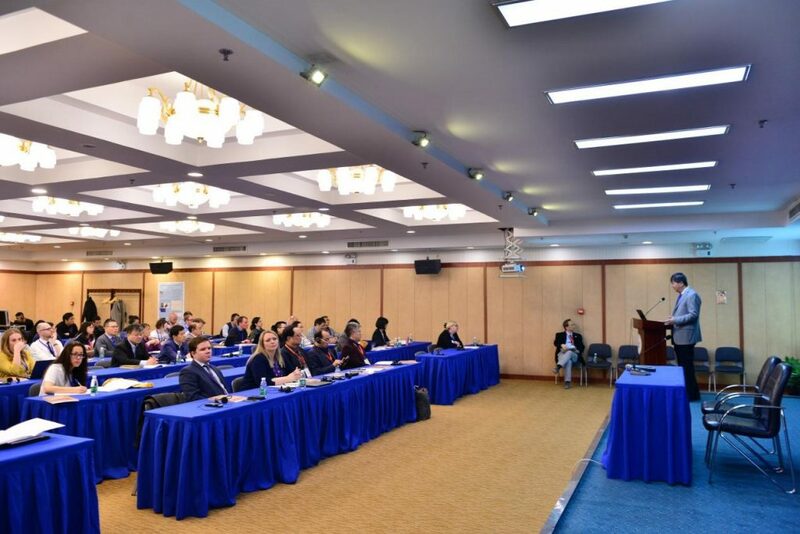 Nearly 120 experts and scholars from both China and the UK participated in this meeting. 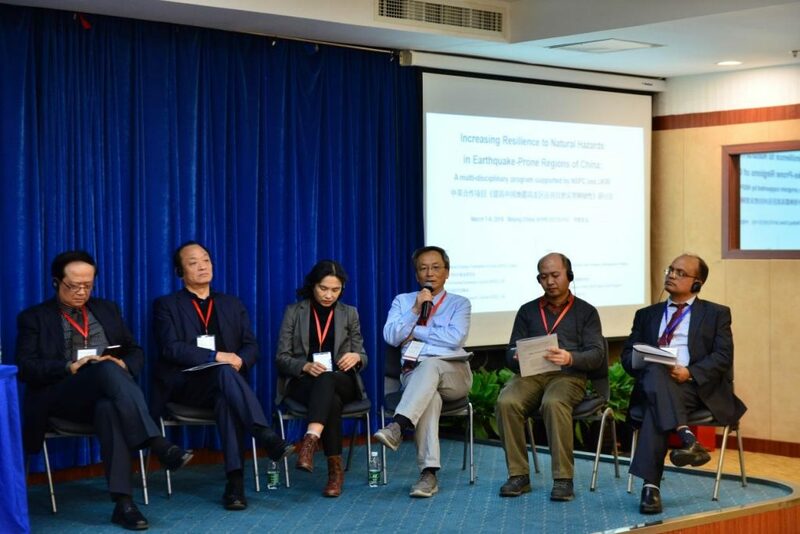 This workshop was supported by National Natural Science Foundation of China (NSFC), Natural Environment Research Council (NERC) and Economic and Social Research Council (ESRC), organized by Academy of Disaster Reduction and Emergency Management (ADREM) and IRG Project/Future Earth. Prof. YE Qian, Executive Director of IRG, hosted the opening ceremony. Prof. ZHANG Qiang, Deputy Director of Academy of Disaster Reduction and Emergency Management, Beijing Normal University, Dr. YAO Yupeng, Deputy Director General of Department of Earth Sciences, NSFC and Dr. Beth House, Head of Research, Earth and Energy Science, NERC, gave welcome remarks. Chaired by Prof. Peter Sammonds, 6 project leaders shared their project key achievements, experience and successful cooperation cases at the meeting. The experts and scholars attending conducted in-depth discussions on the project results and put forward many constructive opinions on the future implementation and development of it. At the panel discussion hosted by Prof. Philip England of Oxford University, the participants explored and shared the factors that contributed to the establishment of successful multidisciplinary cooperation and multinational corporation and promote the application of research results. This workshop has enhanced the consensus among scientists in different fields from China and the UK on the research area of natural hazard resilience. The representatives agreed that it is necessary to continue to strengthen cooperation in the field of disaster risk and provide scientific support for the policy formulation of China and global disaster risk reduction.